Happy Monday friends! I've been enjoying a quiet day in the studio. They've been few and far between lately, so I'm really trying to make the most of it. 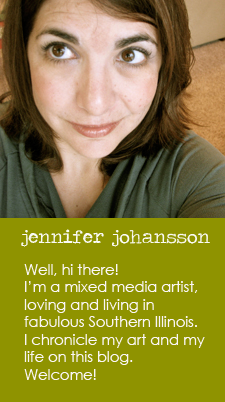 If you hadn't already guessed it when I took my husband's name (Johansson), I married a Swede. 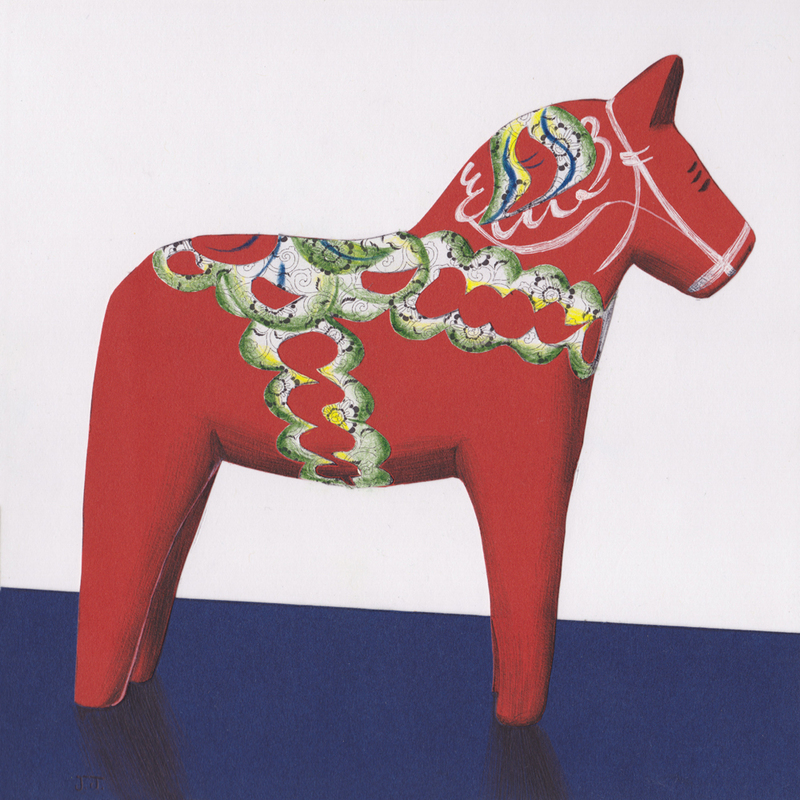 For our wedding, we received a small wooden Dala horse, an icon of Swedish folk art. Matt has been asking me for some time now to make something Dala, so here it is! I made "Dala" here as a baby gift for some Swedish friends of ours and I made a duplicate to bring with me to the Lower Town Arts and Music Fest in Paducah in a few weeks. I don't know how many Swedes live in these parts, but know this piece would go over big in Rockford, where at least half the population is of Swedish descent. I'd love to make similar "folk art" pieces that reflect my Irish and Italian heritage. I'm thinking a 4-leaf clover or claddagh for the Irish, but I have no ideas for the Italian side Any suggestions out there? I'd love to hear them. Have a great week. Ta-Ta for now. Commission is done. Now it's time to party!